Gideon Spanier looks at how companies are seeking ways to cut their dependence on the two giants. 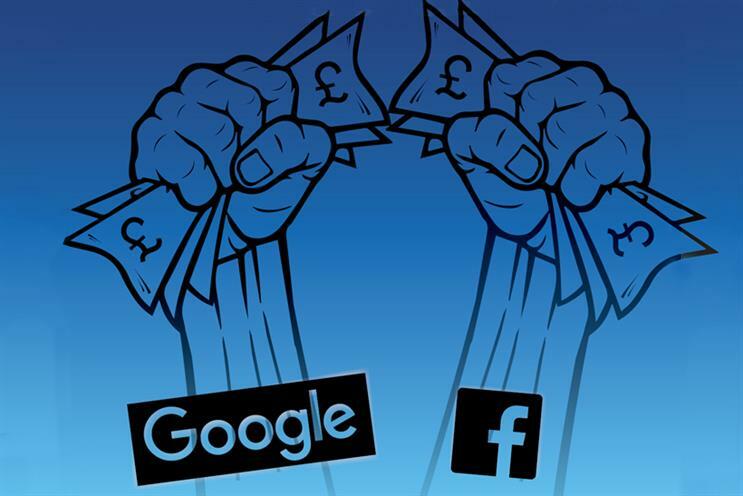 Facebook and Google have become so dominant that smaller media owners urgently need to find ways to reduce their dependence on the internet’s twin "hegemonic powers". That’s the view of Shane Smith, co-founder and chief executive of Vice Media, who spoke for many at the Cannes Lions when he claimed that the vast majority of online media companies and content producers have become "beholden" to Facebook and Google. publishers is rising as Facebook and Google are growing ahead of the market and increasing share. The shift to mobile has expanded the gulf between the "big two" and the rest. Estimates from eMarketer suggest that Facebook and Google bring in more than 50% of all mobile ad revenues globally. As Paul Frampton, UK and Ireland chief executive of Havas Media Group, said: "If you look at mobile, which is where consumption is heading, it’s dominated by those two players. They’re eating everyone’s lunch." Facebook demonstrated its strength by timing its announcement that Instagram had passed 500 million users to coincide with Cannes. "Now you have two hegemonic powers and the manifest destiny of your media company is in their hands," Smith warned, explaining why Vice has been diversifying and is expanding its TV channel, Viceland, to 50 new countries including India. mobile to drive online traffic – and sometimes both. "That’s great for Google and Facebook. They’re great companies," Smith said. "But, for us, then you’re beholden to them. It’s not great if they change algorithm [which determines what appears in Google search results or Facebook mobile feeds]. They say they’re platform-agnostic, but they’re not." This is part of the reason that Vice has been trying to reduce its dependence on Google and Facebook for two years, according to Smith, who added that mobile is hard to monetise. Martin Clarke, publisher and editor-in-chief of MailOnline, was another media owner keen to stress that it is not overly reliant on Facebook and Google because "you are subject to the algorithm and the vagaries of the algorithm". "Facebook is an important source of traffic but it’s not our whole ball game. In the UK, getting on for 60% of traffic comes [directly] to the home page or app," Clarke said. "Facebook and Google could vanish tomorrow and we’d still have a massive audience. So we’re not beholden to them. We’ve always been focused on a direct audience. Unless you have a significant number of people visiting you actively, you don’t have a brand." Advertisers, media agencies and other media owners are looking for viable alternatives. "I think you’re going to see more people try to create business plans that move the [marketing] conversation elsewhere – so it doesn’t have to live on Facebook and Google," Frampton suggested. At Cannes last week, AOL had an increased presence – having taken over Microsoft’s ad sales – while Yahoo was almost invisible as it struggles to find a new owner. Snapchat has been touted as a possible challenger and has been expanding in online video. Frampton said some ad chiefs are "willing" the company to "break the Facebook/Google dominance". How-ever, Snapchat has yet to prove it can be a distribution and advertising platform at scale. Executives from the photo-sharing app were in Cannes but kept a low profile, preferring to host a private dinner for agency bosses rather than stage a bigger event or speak in public. Snapchat has been slow to win over some agencies. When an IPA delegation travelled to Los Angeles last year and raised concerns about how the company measures its audience, Snapchat "didn’t want to hear it", Frampton explained – but it is now "listening". Clarke is keen on Snapchat, which has been "a massive success for us", adding that a recent change in the user interface "quadrupled our traffic". He described Snapchat founder Evan Spiegel as "a fantastic partner to work with", adding: "It’s a very flat company. We only have to deal with two or three people, of whom Evan is one." That said, Clarke insisted Facebook remains "a friend", not a foe, to media owners and publishers. "Facebook has a business to run and how they run their business is entirely up to them," he said. "We find them very good to deal with." Meanwhile, WPP chief executive Sir Martin Sorrell believes Amazon is the forgotten tech giant that "people don’t mention". The ecommerce company has already expanded in so many areas – "content, clothing, fresh food, delivery" – that it is a mistake to look only at the Google/Facebook "duopoly", he argued. at least half – if not 60-70% – of your audience," Frampton pointed out.